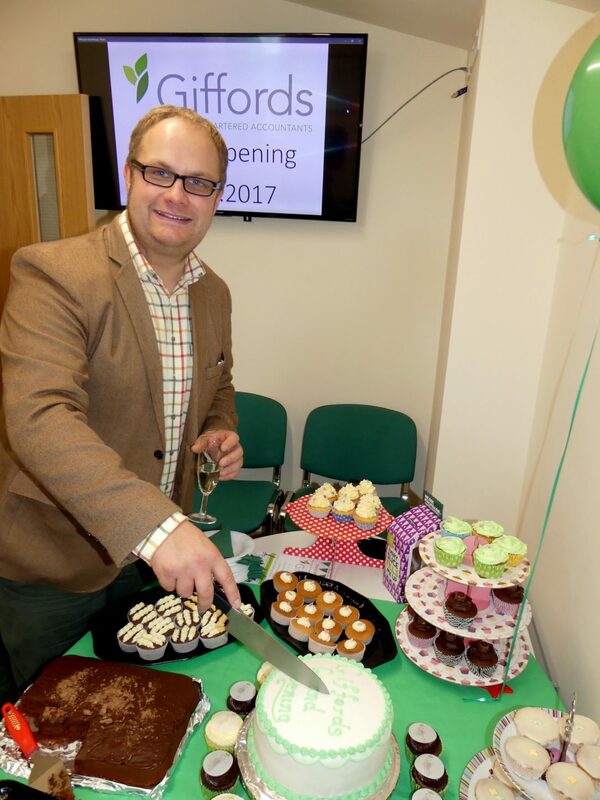 This Spring, the team at Giffords have been busy celebrating our first birthday. We would like to take this opportunity to thank everyone who has been involved in making our first year a success. We have been overwhelmed by the interest the new practice has received and are delighted to be working with so many new clients. Jon Gifford said “Having been advising owner managed businesses for years on how to set up and best operate their businesses, it is pleasing to now done so myself, ably assisted by my value team. Going forward, Brexit and Making Tax Digital in particular, will bring a mixture of challenges and opportunities for our clients and we look forward to doing our best to add value for them through these processes”. As part of the celebrations, we launched our first video post and competition on Facebook. The video received a whopping 5,700 views. Not bad for a new, small rural accountancy firm. Congratulations to Karyn Ballinger who won the £50 voucher. We hope you enjoy your shopping spree Karyn. Please continue to like and share our facebook page to help us reach 1000 likes and don’t forget to visit the page regularly for the lastest news and information.